JAN KOUNEN - ARTE AMAZONIA provides a global voice through art for the indigenous cultures of the Amazon. Jan Kounen was born on May 2nd, 1964 in Utrecht, Netherlands. He studied at the Arts Décoratifs in Nice, France, (E.P.I.A.R.) where he learned cinema, animation and graphic art. He has made several films on a variety of subjects but two important ones deal with indigenous content. While on locations in Mexico and Peru, Jan discovered shamanism and the Shipibo-Conibos culture, and developed a deep connection with it. He spent several months there filming a feature-length documentary, Other Worlds (2004). The other film on the subject is called Blueberry which was also released in 2004. It is an adaptation of the Franco-Belgian comic book series Blueberry, illustrated by Jean Giraud (better known as Moebius) and scripted by Jean-Michel Charlier. The film starred Vincent Cassel as the title character along with Michael Madsen and Juliette Lewis. Although the film is a French production, the language of the film is in English because the story is set in America's Wild West in the 1870s. 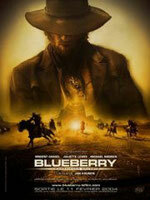 Since the character of Blueberry remains obscure in the States, the film was released on DVD in America in November 2004 under the title Renegade and marketed very much as a conventional Western, which is not. This film is highly regarded for its intensely visual visionary portray of Ayahuasca and the role it plays in unlocking memories that lead to healing.